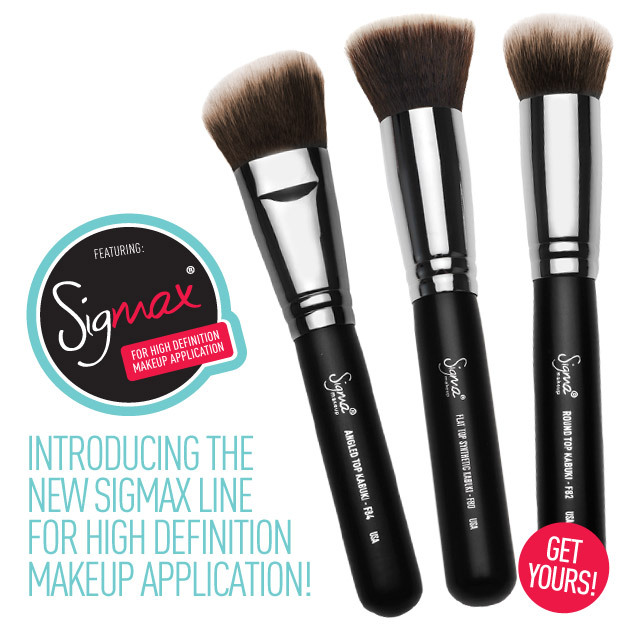 Sigma Makeup is on a roll with new brush releases. Their newest release is totally drool-worthy. They took my favorite sigma brush, the F80, and make two companion brushes to complete the Sigmax Synethic Brush Set. These brushes are definitely on my shopping list. Sigma's newest trios are all made of synthetic sigmax HD filamanet. These brushes are super amazing at blending which will definitely help you get an HD ready look. You all know about the original...my love...the F80. 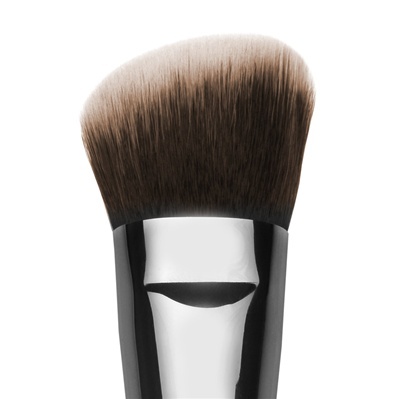 It's my go-to foundation brush. Combined with my MAC Studio Tech cream foundation in NC43, I always get a flawless finish. The Roud Top Synethic Kabuki (F82) is modified with rounded edges to fit in areas like around the nose and eyes. This almost looks like an improved version of the MAC 109 minus the shedding problem. The Angled Top Synthetic Kabuki (F84) is great for blending products on the cheeks. I can totally see this working for using cream foundations as contour colors, and blending them into the foundation. Having the synthetic top really moves the foundation on the skin. Can't wait to get my hands on these to test them out! I bet whoever gets their hands on these will have the smoothest looking, airbrushed foundation around! You can find these products at http://www.sigmamakeup.com/. You can pick each brush up for $16 or get the set of three for $42, which is an awesome deal. Happy Shopping! Let me know if any of you guys pick it up and what your thoughts are on these brushes. Ciao bellas! FTC Disclosure: No one asked me to write this post. I am not reviewing the product, merely sharing my opinion on new products. Will be buying these stat! we cant get these in Nigeria. besides, you are yet to upload the rest of the Girls Night Out looks. 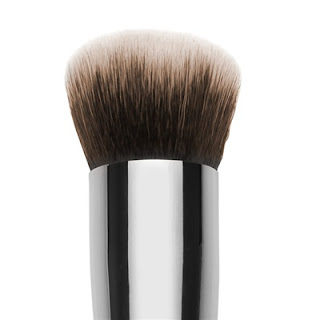 This is a must have I have the 197 (F80)and that is all I use for any foundation, I hate the 109 brush sheds to much so I will be getting the other 2 brushes thanks for the update. OMG...those brushes are sooooo tempting! Haven't tried the Sigma brushes yet, but this set is enticing and affordable! Really need to get these! Thanks for posting!